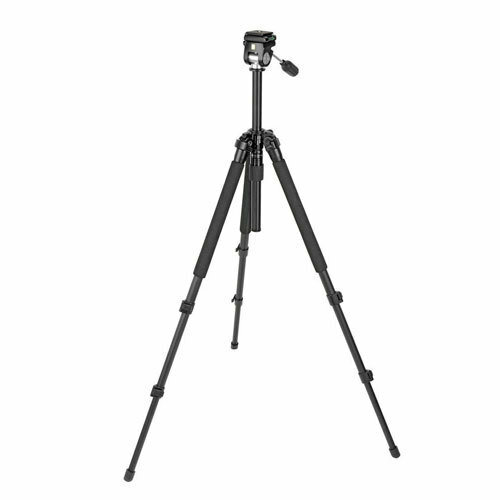 The Slik Pro 330EZ Tripod is built with Aluminum-Magnesium-Titanium alloy (A.M.T.) 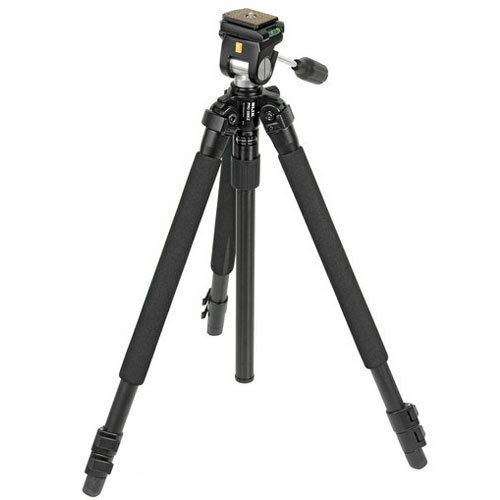 which makes the Pro-330EZ tripod rock steady, yet lighter than it looks. The A.M.T. alloy has a 40% greater strength to weight ratio than standard aluminum. 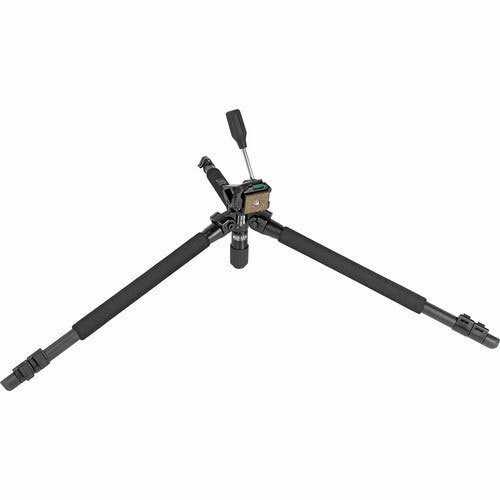 This means that the legs are lighter, yet stronger than the standard metal used in most of today's tripods. 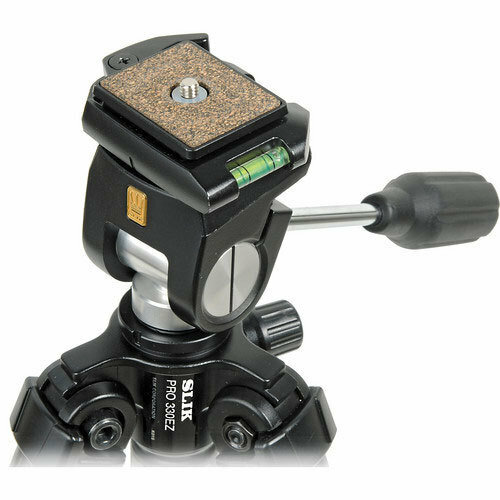 The included E-Z head is a 2-way pan head that has traditional all-metal construction with simple sturdy one lever operation. When released, the head can move in two directions: it can tilt up and down, and pan left or right. Its single rubberized handle controls all movement. These directions of movement make the head an ideal choice for long telephoto lenses, like 300mm f/2.8, 400mm f/5.6 or 500mm f/4.5, or spotting scopes.